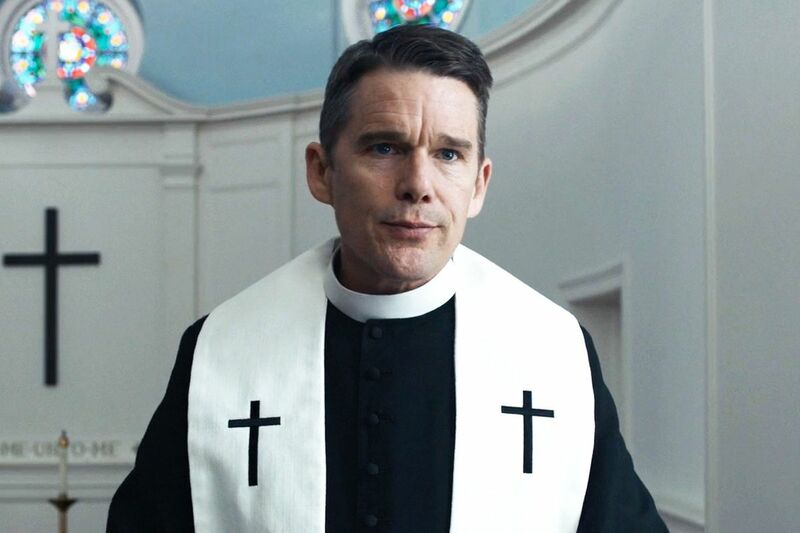 The Indie Spirit Awards got back to their roots finally in the reveal of their 2019 nominations, choosing films that are actually independent and not just less-expensive studio flicks. And in so doing they've chosen some of my favorite movies of the year, so on a personal level this is shaping up to be an exciting show. Tops on that list was Paul Schrader's amazing First Reformed, which earned four nominations including Best Feature, Best Screenplay, Best Director, and Best Male Lead for star Ethan Hawke. Also earning four nominations was the middle school drama Eighth Grade, which featured a breakout performance by Best Female Lead nominee Elsie Fisher. Leading the way with five nominations was director Jeremiah Zagar's stunning adaptation of We the Animals, including one for Best Feature. There were tough categories all around, which led to some surprising snubs. Spike Lee's BlacKkKlansman didn't get much love, other than a Best Supporting Male nomination for Adam Driver. Ironically, hes going against his BlacKkKlansman co-star John David Washington who is nominated for a different movie, Monsters and Men. The Best Male Lead field looks super competitive with Hawke joined by John Cho for Searching, Daveed Diggs for Blindspotting, Christian Malheiros for Sócrates and Joaquin Phoenix for You Were Never Really Here. I was thrilled to see Regina Hall recognized for her performance in Support the Girls, and Glenn Close for The Wife, which may be the prelude to an Oscar win for her. Boots Riley's offbeat directorial debut Sorry to Bother You was perfect for the Indie Spirit crowd, and it managed to come away with two nominations for Best First Feature and Best Screenplay. And I couldn't begin to tell you who is the frontrunner in the International Film category, where every single entry is more than deserving. Alfonso Cuaron's Roma, Hirokazu Koreeda's Cannes winner Shoplifters, Yorgos Lanthimos' The Favourite, and Lee Chang-dong's Burning could all be considered frontrunners. The rest of the nominations are below. The Independent Spirit Awards will take place on February 23rd.